ABC’s "Dancing With The Stars” has revealed their new cast and what has become the mandatory child star casting is the talk of the town. 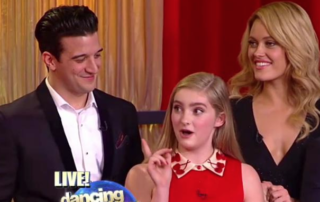 In case you haven’t heard, DWTS Cast Hunger Games Child Star Willow Shields, age 14, to dance opposite 28 year old Mark Ballas. Willow is now the Youngest Contestant Ever on DWTS!